The kind words of satisfied clients, franchisees, and people who view our white dove releases say more than any advertisement ever could. Here are some of our favorite testimonials. Thank you for doing the 4 dove release for my father's burial service. It meant a lot to us; we know it was cold and we appreciate you coming! I'm just getting back from my Honeymoon in Maui, Hawaii. Had a great time!!! 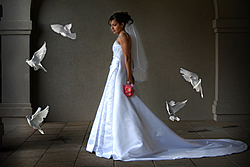 Thanks for the excellent presentation of the dove release at our wedding. It was simply beautiful. Our pastor preached about it. Your idea is awesome. We would like to take this opportunity to thank you for donating the wonderful dove release for our memorial service. We will let others know of this wonderful service you provide that is so unique in nature and symbolism of the Father, Son, and Holy Spirit. The 20 dove release that was performed at the Race for the Cure was breath taking! We appreciate your services and will definitely consider your company for next year's event. The lord had a way of helping me find your business so my wife could look down from above and have the doves released at her graveside service. Thanks for making this all possible; you truly are professional and may the Lord continue to bless your efforts. 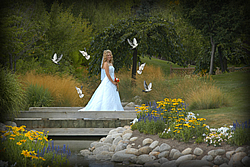 The dove photos turned out perfect! We are so thankful that our friend told us about your dove release business. We couldn't have chosen a better theme for our wedding in Little Rock. We never knew that White Doves could be released miles away and still return home. The birds you released are amazing! Can you get me more information on the White Dove Release Business? I'm pretty sure nobody is doing this in my area beyond the 150 mile radius you guys cover. 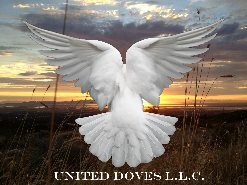 I came across the article that was recently published about United Doves in the local newspaper, and find your business very interesting. I wanted to do something different for my wife on Valentine's Day this year. Thanks for sharing your beautiful birds with us the day we released them. We felt it was very appropriate to release the 21 Doves for our son's funeral service. You may never know how much this meant to our family. I heard about your services through the funeral home, and they were right -- your handlers do an exceptional job. 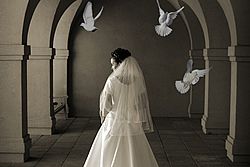 We just wanted to tell you how much we loved releasing the 2 doves out of the heart shaped basket on our wedding day. There were so many people asking where we got the doves from. We recently saw a dove release that was done by your company and we never knew such a thing existed. We were amazed at how gracefully the birds flew after they were released. The name of your company truly does reflect the great symbolism and unity: the doves fly as they are United together on their journey home. We look forward to sending more referrals your way. I know this meant a lot to my friends who recently lost their loved one. You are very good at what you do -- keep doing what you are doing. This service you provide truly does fill a need here in the area.